Living in California has plenty of perks: beautiful weather, access to world-class beaches, and some of the best cities in the world. However, as with any state, California has its share of problems, both human-made and natural. While most people are concerned over elements like wildfires and earthquakes, we want to talk about another plague upon the Golden State: fire ants. Unfortunately, these vicious critters have been making their way through California like an invading army. Attempts to beat them back have failed, meaning that many Californians have to deal with them regularly. Also, because there are many different so-called remedies out there, we’ve also decided to dispel some of the insufficient prevention options, so you don’t make the same mistakes. Before you can destroy your enemy, you have to understand it first. The reason why imported fire ants (native species are relatively benign) are so terrible is that they are highly responsive. Every time you try to kill them, they pop up somewhere else, ready to attack at a moment’s notice. Also, most of the activity is below ground. So, assaulting fire ant mounds may seem satisfying, but unless you kill the queen, all of your efforts will be futile. Overall, when treating a fire ant infestation, you have to be perseverant and consistent if you want to win the war. Here are a few ways to go about it. Because the mounds are the primary access points to launch your offensive, you will want to use poisons and chemicals that are designed to strike at the heart of the colony. Compounds like acephate are great for killing ants, including the queen (potentially). However, this treatment is more reactive, meaning that the problem has to already be in place for it to work. If you want to stop fire ants from taking hold, then a year-round insecticide plan is the best option. You will have to lay granules in your yard regularly, which will kill ants before they develop into a colony. 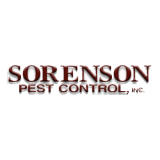 Overall, if you want the simplest and most effective option, call Sorenson Pest Control today. Rather than having to handle dangerous chemicals and hoping that you do it right, we can assess your yard and come up with a treatment plan that will either keep ants away or eliminate them altogether. Call us today to find out more and to make sure that your home is fire ant free. If you search for home remedies to get rid of fire ants, you may come across some of these options. Spoiler alert: none of them work, so don’t waste your time. Orange Peels: yes, they’ll avoid them, but the ants will just move to an orange-free section. Club Soda: you’ll need gallons of the stuff and continuous treatment - it’s not worth the cost. Boiling Water: won’t kill the queen, and you have more risk of hurting yourself in the process. Burning: Most of the colony is underground, where the fire won’t spread.